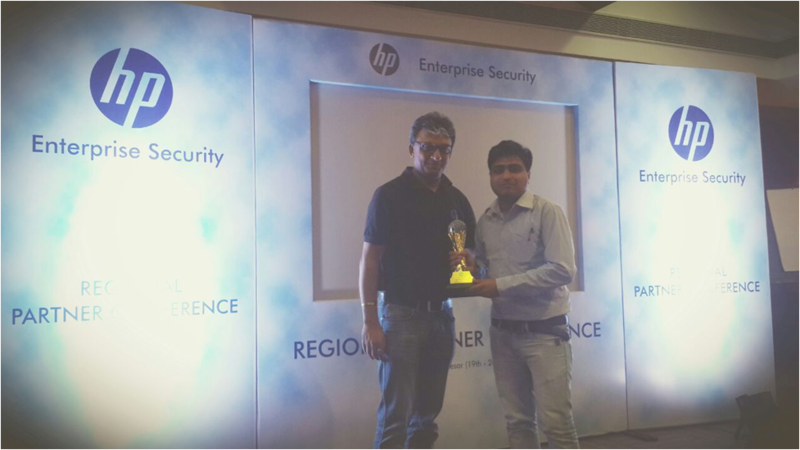 HP Enterprise Security named Transition Systems India "Distribution Partner of the Year 2014" and "Best Technical Contribution". 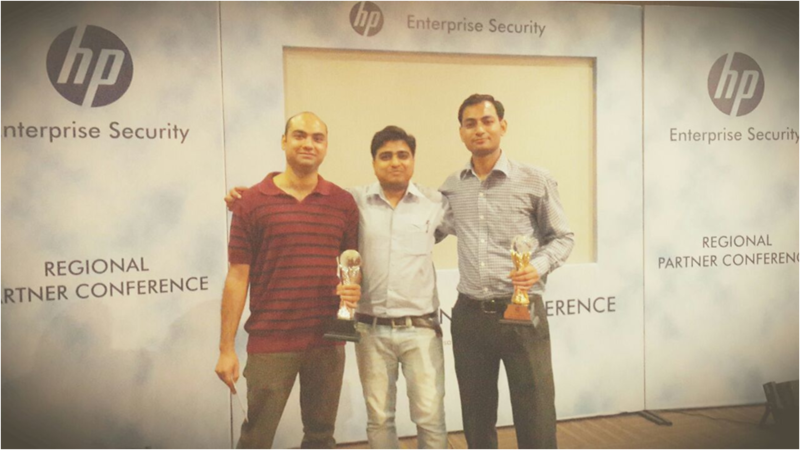 INDIA, 30TH June 2015 - HP Enterprise Security held its Regional Partner Conference 2015 on June 19th at Heritage Resort, Manesar, where they announced their 2014 India Annual Partner Award winners during the awards ceremony. Transition Systems India received two prestigious accolades - “Distribution Partner of the year”, for its outstanding overall performance in business growth, channel coverage and “Best Technical Contribution”, for demonstrating strong technical capabilities and knowledge across entire HP ESP product line. The HP ArcSight Security Intelligence platform part of HP ESP, the leader in Gartner quadrant helps safeguard your business by giving you complete visibility into activities across the IT infrastructure including external threats such as malware and hackers, internal threats such as data breaches and fraud, risks from application flaws and configuration changes, and compliance pressures from failed audits. This industry-leading security information and event management (SIEM) solution enables you to collect, analyse, and assess IT security, enterprise security and non-security events for rapid identification, prioritization and response. Fortify: Security teams are under tremendous pressure to understand and secure the software that connects customers, partners and employees to their organizations lifeblood – corporate data and assets. The combination of legacy systems and today’s modern IT development realities – open source, mobile and web applications make this a daunting/complex task. Corporate realise that the three ways to eliminate software security risks are to () Assess and quantify software security risk () Build security into software and Monitor high risk applications while they run. TippingPoint: With increased threat sophistication by use of personal mobile devices new compliance requirements growth in cloud computing and the ubiquitous use of recreational applications, security managers now have more risk to manage and more attack surface to defend. HP’s next generation network security solutions powered by the new HP TippingPoint X-Armour architecture provides flexible and modular security for defending your applications, networks and data from today’s advanced persistent threats and high-profile attacks.